The Cancer and Blood Diseases Institute (CBDI) at Cincinnati Children’s is a national leader in caring for children and adolescents with cancer. Cincinnati Children’s has been a leader in basic science and clinical research for decades. The Cancer and Blood Diseases Institute was established in 2009 to formally align strong clinical care and research programs, enhancing collaborations and speeding the transfer of new knowledge from the laboratory to patient care. Beyond the institute, faculty members partner with researchers and clinicians in other research and clinical divisions, including developmental biology, immunobiology, radiology and nephrology. 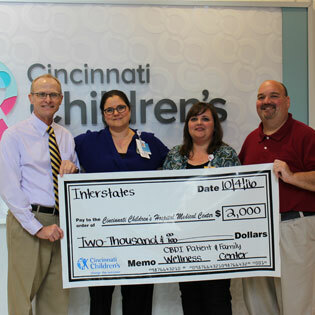 Learn more about Cincinnati Children’s Hospital and the CBDI here.